Jameson is an Irish cultural icon that transcends the world of whiskey, so it’s somewhat ironic to learn that John Jameson, the founder of the dynasty, was born in Scotland. Gavin D Smith tells his story. Jameson is the quintessential Irish whiskey, selling some 6.6 million cases worldwide in 2017 – compared to the country’s second-best-selling brand, Tullamore Dew, which accounted for 1.2m cases. To many consumers around the globe, Jameson is Irish whiskey, as essential a part of the nation’s perceived heritage as the poetry of WB Yeats and Seamus Heaney, or the songs of The Dubliners or Christy Moore. What few Irishmen or women will admit, however, is that Jameson was actually created by a Scotsman – John Jameson of Clackmannanshire, and a Presbyterian at that. Jameson was born in Alloa during 1740 into a seafaring family, and served as Sheriff Clerk for the county of Clackmannanshire. In 1768 he married Margaret Haig, eldest daughter of John Haig and his wife, Margaret Stein, and the couple had no fewer than 16 children, though only 10 survived to adulthood. Together, the much intermarried Haigs and Steins were ‘whisky royalty’, responsible for a major proportion of the total output of Scotch whisky in the 18th century. Disillusioned with his career as Sheriff Clerk, John Jameson moved with his family to Ireland, and there is a record of him joining the Convivial Lodge No 202 of the Dublin Freemasons on 24 June 1774. He was appointed general manager of one of several distilleries in Dublin’s Smithfield district, with the premises in question being in the ownership of his relative by marriage, John Stein. John Jameson later declared that he had ‘erected the distillery’ in 1805, when he appears to have become sole proprietor, though this would seem in reality to have been the date of expansion and modernisation. ‘In 1805 [John Jameson] was joined by his son, John Jameson II, who took over the family business that year… and for the next 41 years he drove the business forward before handing over to his son, John Jameson III, in 1851. At around the same date, John Stein acquired a distillery in Marrowbone Lane, and it appears that – despite some contradictory accounts – John Jameson’s son William married Stein’s daughter Isabella, going on to take over the company, which was trading as William Jameson & Company by 1822. The two Jameson distilleries were major trading rivals, especially as they were two of what were often referred to as ‘The Big Four’ of Irish whiskey – namely John Jameson & Son, George Roe & Company, John Power & Son, and William Jameson & Company. The capital’s whiskey makers were considered the true elite, with 20 distilleries open in the city during 1802. John Jameson operated Bow Street to the highest standards, in keeping with the exalted reputation of Dublin distillers as purveyors of the finest ‘pure pot still’ whiskey. His employees received above-average wages, and he purchased only the finest grain, sometimes paying farmers in advance to grow cereals for him. He also followed all stages of the production process with great attention to detail. When it came to maturation, John Jameson ordered the excavation of cellars on the distillery site to provide cool, moist conditions for optimum ageing of his whiskey, and he allowed it to remain in cask for much longer than many of his competitors, to ensure the highest-quality spirit. 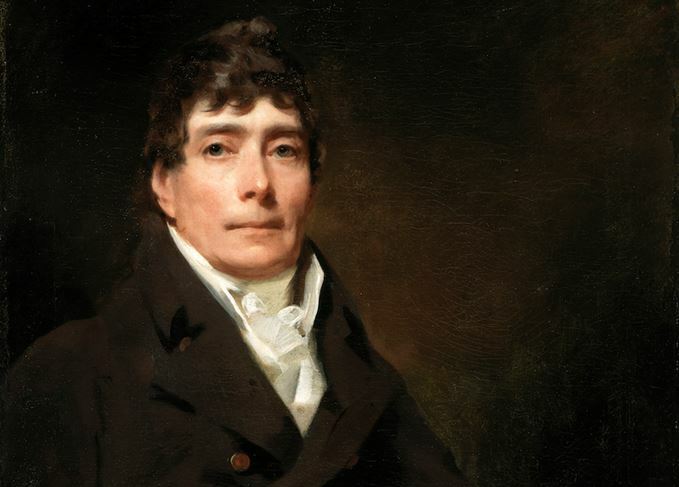 In retirement, John Jameson commissioned the artist Henry Raeburn to paint portraits of himself and his wife Margaret, and today they hang in the National Gallery of Ireland, Dublin. Jameson died on 3 December 1823, by which time the Jamesons were firmly established as the country’s leading whiskey family. In The Lost Distilleries of Ireland, Brian Townsend declares that John Jameson was ‘…arguably the single main driving force behind the success of the Irish whiskey industry in the 19th century’. John Jameson & Son lost its independence with the formation of the Irish Distillers Group in 1966, and remarkably it was only two years later that Jameson was first sold in bottled form, rather than by cask to publicans and bonders. The Bow Street distillery was the second-last to close in Dublin, finally falling silent in 1971, five years before the doors shut on its great historical rival, the John’s Lane distillery of James Power & Son, where Jameson continued to be distilled for a final four years. Since 1975, all Jameson whiskey has been produced at Irish Distillers’ vast combined pot still and grain distillery at Midleton in County Cork. Though much of the Bow Street distillery site has now been redeveloped, it remains home to the hugely popular Jameson Distillery Bow St visitor experience and, earlier this year, with the launch of Jameson 18-year-old Cask Strength, whiskey maturation returned to Dublin, as this expression spends a final period ageing in a warehouse within the Bow Street complex. John Jameson himself would surely have been pleased with this development, just as he would be happy to see Dublin beginning to regain some of its traditional status as a centre of whiskey-making excellence with the establishment of the Teeling distillery in 2015, and the subsequent creation of the Pearse Lyons and Liberties distilleries. Teeling’s first Dublin-distilled single pot still whiskey has just come of age and been launched in its native country to widespread acclaim, so the legacy of John Jameson and his fellow Dublin distillers triumphantly lives on. Dave Broom picks apart Scotch and Irish whiskey’s close relationship in time for St. Patrick’s Day.